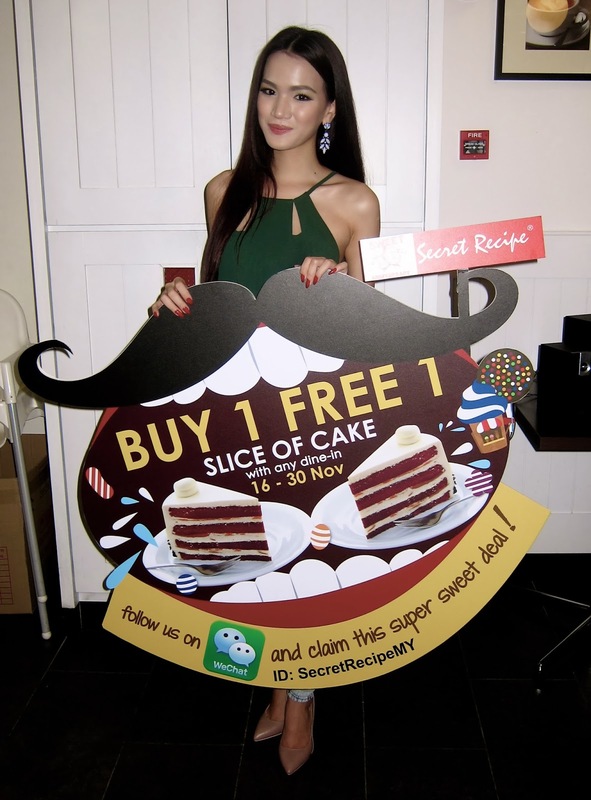 Stephanie Lim: WeChat x Secret Recipe ♡ Sweet Sixteen Anniversary ! 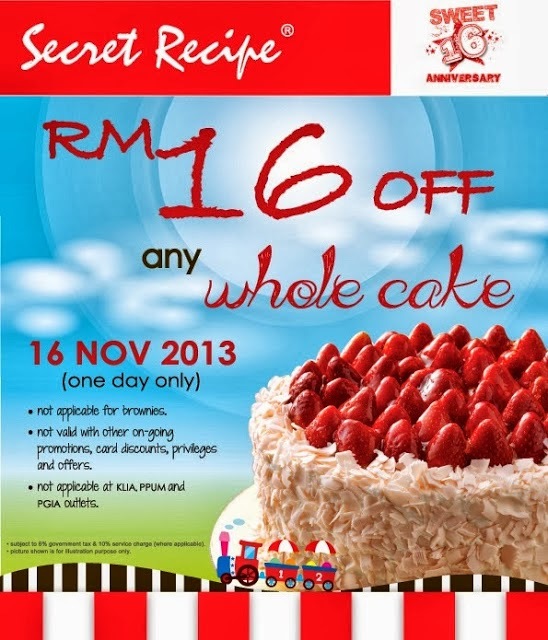 Secret Recipe Malaysia is celebrating it's Sweet Sixteen! Yes, you heard that right. Secret Recipe is celebrating it's 16th Anniversary and they've partnered with WeChat to bring you loads of awesome treats. 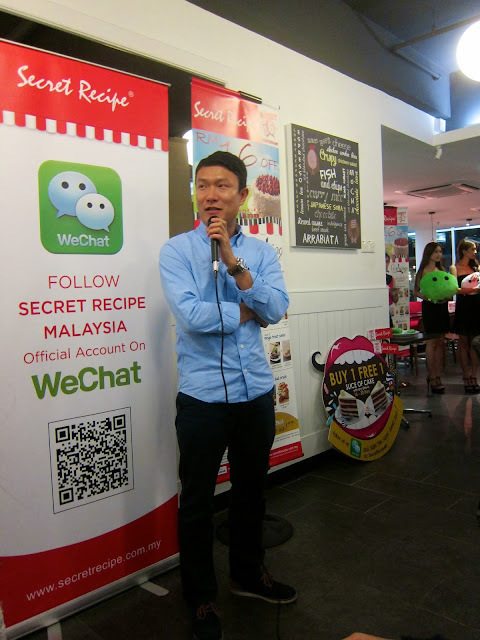 WeChat is the world leading innovative mobile social communication applications, has announced their latest addition of Official Account of Secret Recipe Malaysia. Calling everyone who has a sweet tooth! Head on over to your nearest Secret Recipe outlet pronto and get yourselves some irresistible sweet deals. 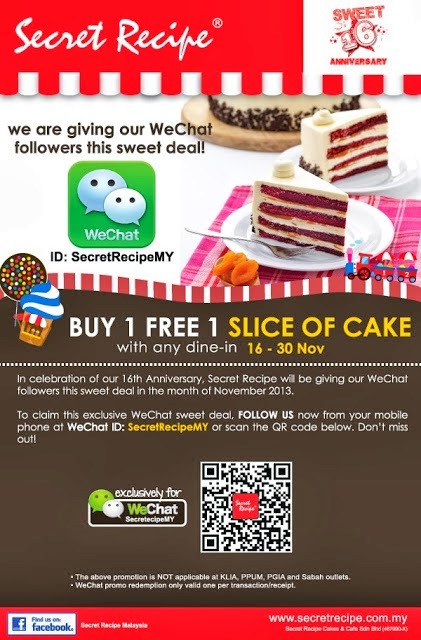 WeChat x Secret Recipe is offering a 'Buy 1 Free 1' deal ! Quick! Follow Secret Recipe on WeChat to receive these good bargains. Bring all your friends and share these wholesome goodies like I did! Haha. The whole lot of us enjoying our sweet treats! Different set meals by the dates given! Be sure not to miss out any as I think they're really worth it. How about this awesome deal? RM16 off a whole cake! And of course, not forgetting the 'Buy 1 Free 1' deal that's ongoing till the end of November! brought to you by WeChat and Secret Recipe Malaysia! I would like to invite your to please create your account and share your favourite links, images, posts and videos on FavouritePost.com. You can also try Triplebx.com - A free banner exchange network for Bloggers helps you to get more popularity for your blog.